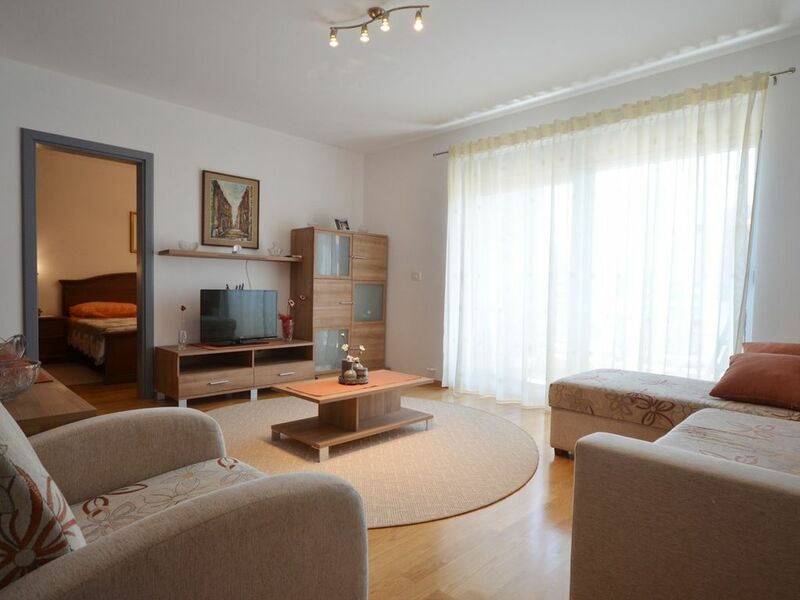 Apartment up to 4 persons close to the old city center is located in new modern building and is close to everything you need for a cozy vacation. The place is on the 2nd floor available only by stairs. It has a private parking. Inside is a kitchen, living room with SAT TV, air condition, and the whole place has free internet WI FI. Down town Rovinj is about 10 minutes walk away and the beaches as well. Close by supermarket, coffee bar and restaurant. Down town Rovinj is about 10 minutes walk away and the beaches as well. Close by supermarket, coffee bar and restaurant.